First of all, I wish to thank everyone for your encouragements in my last post, on my progressing this UFO. It helped me a lot! The proof is here : I have put it back on the design board and prepared my ready blocks to start again. I have added two lines and a half on the down part yesterday, but I already see that I will have to make some changes in the blocks setting. If ever you have some comments to make about the layout of those blocks, please do, I would be glad to read them and take them into account! L'agencement me parait bon ! 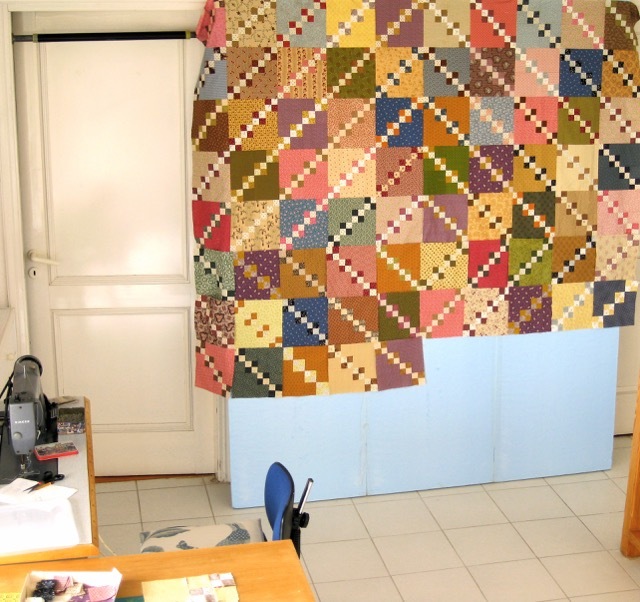 En tout cas, ton quilt est très agréable à regarder tel qu'il est ! Par contre, je crois que ton design wall est un petit...... ! Lol ! Je plaisante bien sûr !! I love this! So much that I want to make this too :). It is beautiful and I look forward to seeing your progress. Thanks a lot Katy for your kind comment. Have a great Sunday! Eh ben voilà! Comme ça avance vite, le top sera bientôt fini! Merci Helen pour ce gentil commentaire. Bonne soiree! This is really a fun quilt Christine! I LOVE the way the quilt turned out so far. This is a stunning piece! I'm so glad you're continuing on with this one. Your crib bumpers are lovely. I can't imagine what could possibly make them unsafe. It seems that practically everything is "unsafe" these days! Love this quilt. Beautiful fabrics. Looking lovely - my comment would be that I am inspired to get busy and make one myself! 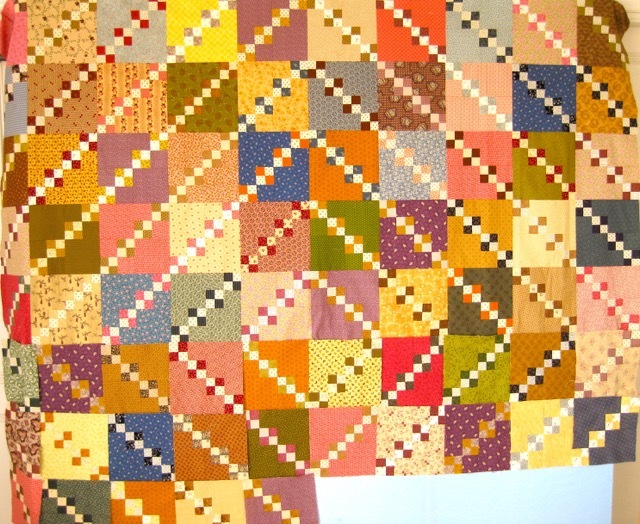 I have a collection of fabrics which would be ideal for this, thanks so much for sharing this quilts with us. Vraiment très beau , donne envie de faire la même chose , quand j'aurai fini tous mes UFOS !!!!!!! Ah la la, tous ces UFOs a terminer! Promis je ne commence plus rien avant de les avoir tous termines! Merci pour votre gentil compliment! Gosh what a striking quilt to be. When I saw it as your link photo I just had to come in for more. Love the colours you are using and a fantastic lay out. 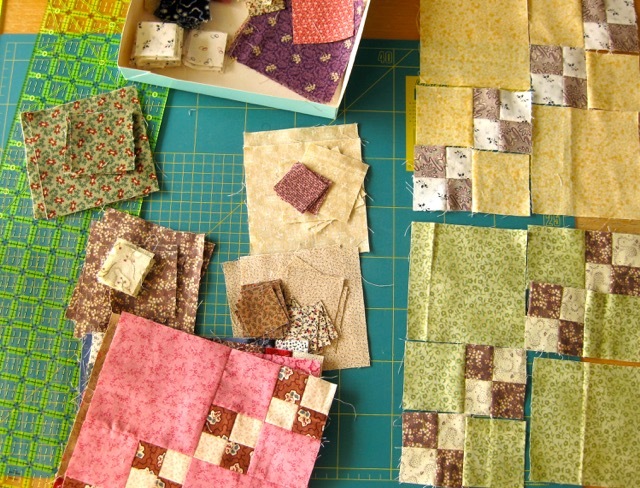 What a wonderful way to use up those scraps and blocks we all seem to collect. Thanks for sharing it is wonderful. Glenda Australia. It is growing! 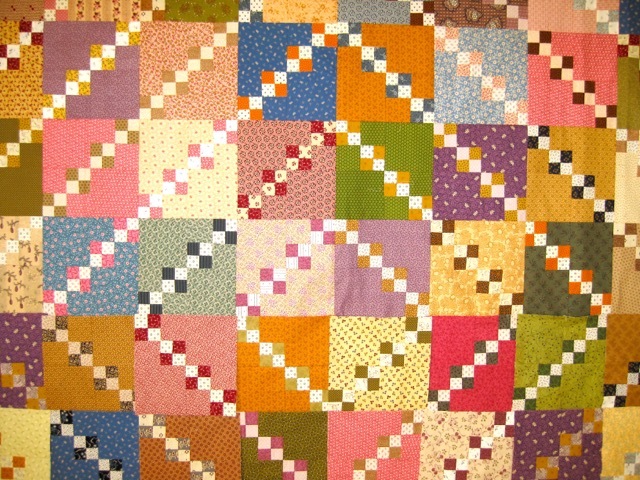 I have made this quilt as well but mine was lap sized, not huge like yours! Looks great! I love how your quilt is growing. It is so very pretty. Oh that is my kind of quilt. This one has been on my list for quite some time! Love the fabrics you are using! This quilt has been on my bucket list for ages--love how yours is coming along! I love this quilt!!! The colors & fabrics are fabulous...I can't wait to see it all done. 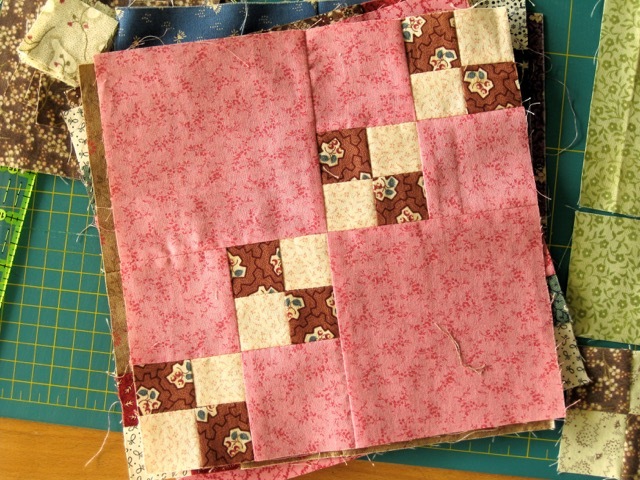 Such a great scrappy quilt. I just love how it is looking. I have to add this to my 'to make someday' list. It's a very large quilt. It looks great with all the different colours. It's glorious Christine, I could keep coming back every day just to look at it! I'm intrigued by your sewing machine too! This is such a beautiful quilt. I love your choice of fabrics. I have made a similar patterned quilt 3 times. Looking forward to seeing the finisher quilt. 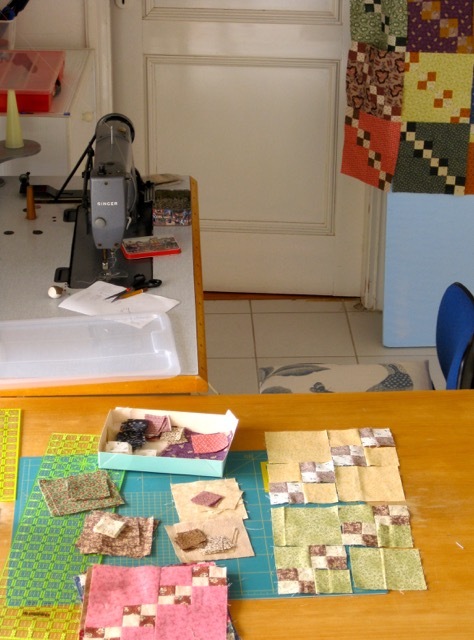 I am so happy to see you are finishing this lovely quilt, Christine. Those scrappy blocks are simply beautiful and I love the design. Are those 8" finished blocks? This is going to be a gorgeous quilt!!! It's going to be a beautiful scrap quilt! I like the blocks and the design. It's going to be a very large quilt when it's done. Thank you Marsha, it's going to be a queen size quilt.